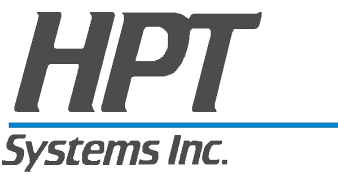 Services - HPT Systems, Inc.
Today, technology solutions form the foundation of business strategies because the technology can be broadly applied. As a result, making informed business decisions requires a complete understanding of these technologies. Organizations of all sizes seeking to wield technology as competitive tools have found it increasingly difficult and expensive to maintain the required expertise in house. As a result, more businesses are outsourcing the IT role. HPT Systems, Inc. has the expertise to apply these technologies in order to improve communication and speed access to information. By outsourcing your Information Systems support to HPT Systems, Inc. you will be able to better utilize your internal resources to expand your core business activities. Our services include network design and integration, virtualization, LAN/WAN connectivity, cloud, and security services. We also service, maintain, and administer existing local and wide area networks. As technology evolves, system upgrades, migrations, and conversions become inevitable. HPT will assess your current computing situation in order to develop and execute a plan for a smooth evolution of your existing environment to newer technology. HPT is equipped to fully manage and support the network infrastructure. We provide on-site and remote site monitoring, and scheduled administration and maintenance services. Calls for emergency services are handled within a ½ hour response window and after hours emergency support is available. Cloud technologies are proving to be invaluable tools to communicate with customers, partners and employees. HPT can deliver reliable and secure cloud solutions utilizing proven technologies. We have extensive experience with cloud based email, file sharing, backup, and collaborative technologies. HPT has years of experience securing business assets from outside threats including hackers, virus, ransom ware and denial of service attacks. We can implement affordable business continuity plans that can virtually eliminate down time.